A single or return ticket for the airport bus service direct from Bath city centre to Bristol Airport. Please note this is not an e-ticket, you will need to select postage or collect from Bath Visitor Information. 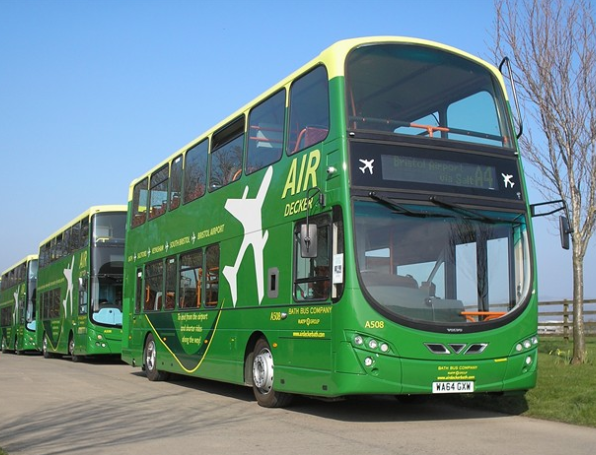 The big, green eco buses can be found at Bristol Airport just outside the main terminal. Don't forget to select your delivery option below. Choose to collect from the Bath Visitor Information Centre for free or pay £6.99 for special delivery within 48 working hours.